This time you find me writing to you from the bookstore of my dreams, Fang Suo. 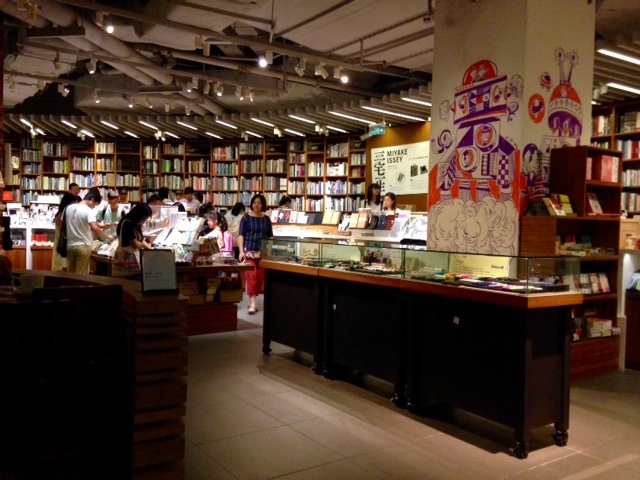 It’s a huge place that sells an array of books in Chinese and other languages. Along with books, it has a fancy coffee shop with lots of dark, brushed wood and just right amount of smug-satisfaction, a universal sign that good coffee is near. I’m perched at a little bar area looking over where the drinks are made. Feeling whimsical, I ordered a mocha instead of my customary latte; it’s just arrived with a huge dollop of whipped cream on top. Oh gosh, it’s delicious. I’m so sorry you’re not here to join me, because this is heavenly. Last time, I left you on the eve of our first foray into Hong Kong. We had such a wonderful time, made even better by Amaury’s good friend K, a Hong Kong native who spent all of Saturday with us. She showed us around taking us to touristy as well as local places. Since K took us on such a great itinerary, I thought I’d write this letter in the style of a travel guide. If you ever have the opportunity to visit Hong Kong, take it; if you already have, I’m sure you agree; if you never get to go, I will take you there now. Note: some of you might find my detailed description of our Hong Kong trip a bit dull, especially if you’ve been there before. If so, feel free to skip and I’ll see you next time. Hong Kong (香港 Xiānggǎng in Mandarin) is just a two-hour train ride from Guangzhou and a hub for worldwide travel with its busy airport and train stations. Excluding the New Territories, the main city (made up of Hong Kong Island and Kowloon) is smaller than the District of Columbia but has a population of 7.4million IE close-ish to New York City. With such a small footprint, the only place to go is up, so Hong Kong is a place of tall, thin skyscrapers and packed streets. Since its handover from Britain to China in 1997, Hong Kong is considered a Special Administrative Region within China under the policy “one nation, two systems.” It has a Chinese appointed Chief Executive, but maintains its own currency and governing system. Importantly for ex-pats coming from Guangzhou, it has good, relatively secure internet. Start by staying in a good location. An excellent place to stay is in the Central District on Hong Kong Island. The Butterfly Hotel on Hollywood Street is not only Hollywood-themed but very accessible and close to everything (EDIT: As of Fall 2017, it had changed into a Travel Lodge). The hotel also provides a free smartphone called Handy who comes with map apps and recommendations of sites to visit. 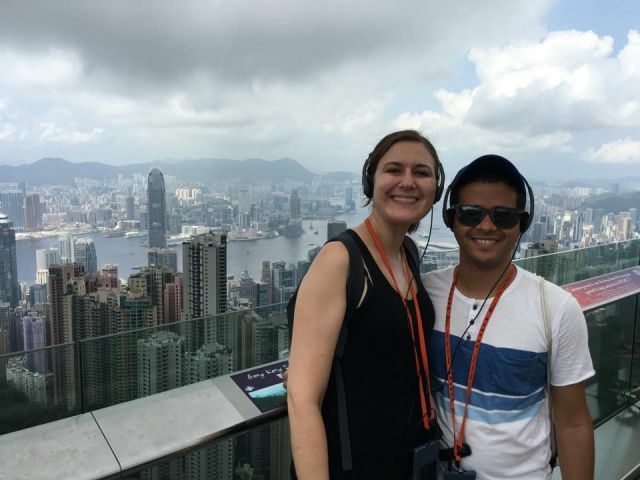 Apparently the Mid-Levels is also an excellent location to stay, close to bars and shops, but in that case be prepared to walk up/down a lot of steps as Hong Kong Island is on a mountain. Begin your first day with a leisurely walk to the IFC Mall on the Hong Kong Island harbor, iced latte in hand of course. Once at the mall, wander around aimlessly for 15 minutes attempting to find your friend and volunteer tour guide and then finally call her so she can come find you. 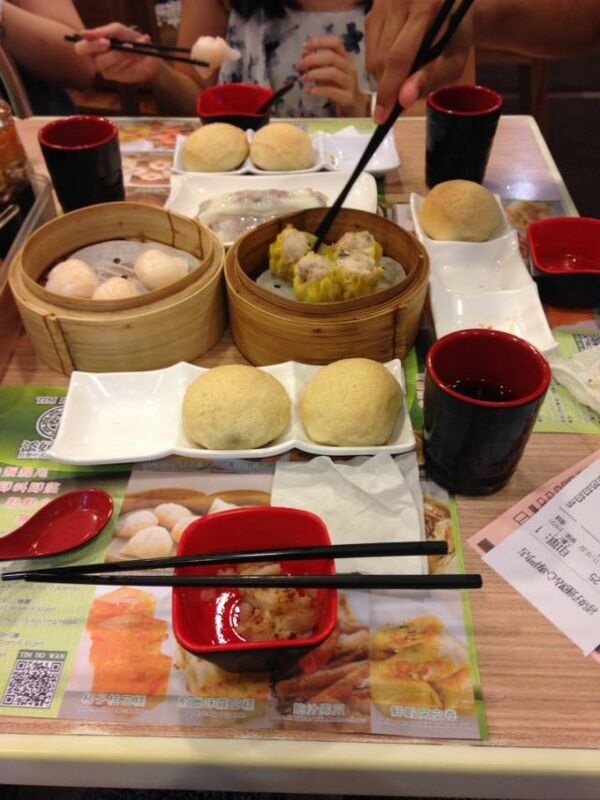 With the group formed, have dim sum at Tim Ho Wan in the mall. Although Tim Ho Wan is a chain, this particular restaurant happens to have one Michelin star but mall-food-court prices! Order the mouth-watering shrimp dumplings and accidentally over-order on the pork buns so each person gets three instead of just one. Try to keep the conversation going, but it’s ok if you lapse into silence while munching. What you are experiencing is called “umami”, the sensation of absolute perfection. Following breakfast, waddle back to the harbor area to admire the beautiful view of Kowloon, the mainland side of Hong Kong. Next, head into the metro and buy an “octopus” card, which can be used on all public transportation as well as convenience stores and some tourist attractions. Take the metro to the Peak Tram station and allow yourself a moment of dread as you see the line looping and stretching across two streets. Resolve to do it anyway because it really is worth it, and queue for about half an hour. Take the 120-year-old Peak Tram to the top of Victoria Peak and marvel at how steep the route is as the tram pulls you up the mountain. This is how domestic staff used to get to their jobs in the fancy colonial houses up the mountain. Once at the top, discover that Victoria Peak is home to yet another mall. On the top of the mall, take a self-guided audio tour of the breathtaking view. Be sure to pick out the Hong Kong Convention Center, where the transfer of Hong Kong from Britain to China occurred in 1997. Also, take time to wonder at Hong Kong’s long and influential history. How it was once the West’s window into China, but now is China’s window into the West. Take a quick break to buy postcards, drink iced tea, and eat an egg tart- the latter look yucky, but really, try them, they’re good. Next, fulfill your companion’s life-long dream of riding a double-decker bus by taking one down through the Mid-Levels and back to the harbor (Amaury was so excited, we got seats right at the front upstairs). At the Harbor, use your Octopus card to pay for a $0.30 USD ferry ride across the bay to Kowloon. Enjoy the view from the ferry as you take the quickest way to the Mainland. At the pier in Kowloon, take a short walk down to Tsim Sha Tsui Promenade to enjoy the view of Hong Kong Island by day. Then, take another double-decker bus to Mongkok. Follow your volunteer tour guide to yet another delicious, local restaurant and marvel as she orders delicious dishes, switching flawlessly from Mandarin, to Cantonese, to English and back again. Pay $5 USD each for your huge meal. Waddle down a Mongkok walking street, enjoying the view of neon signs mixed with street performers and shops. Try not to get lost in the sea of people. 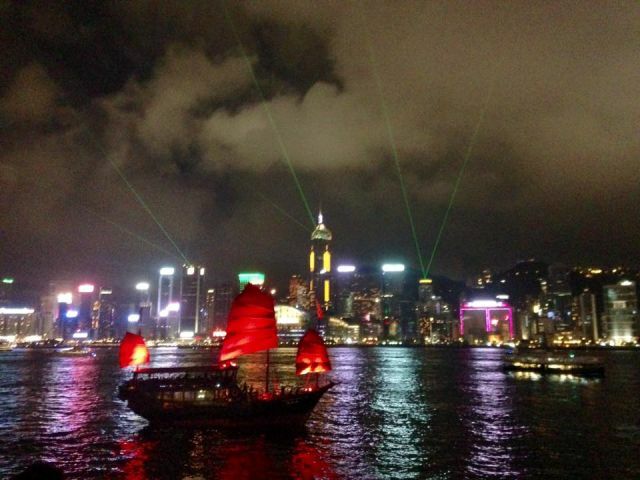 Head back to the Promenade by bus and watch the Hong Kong light show, on every night at 8pm. Get there half an hour early to get a seat along the waterfront. While the best views of the light show are from boats on the water and from the tall skyscrapers, being outside among the crowd seems like the best first experience of the show. Stop to enjoy some talented street performers, ice cream, and old architecture along the pier before grabbing the ferry home. 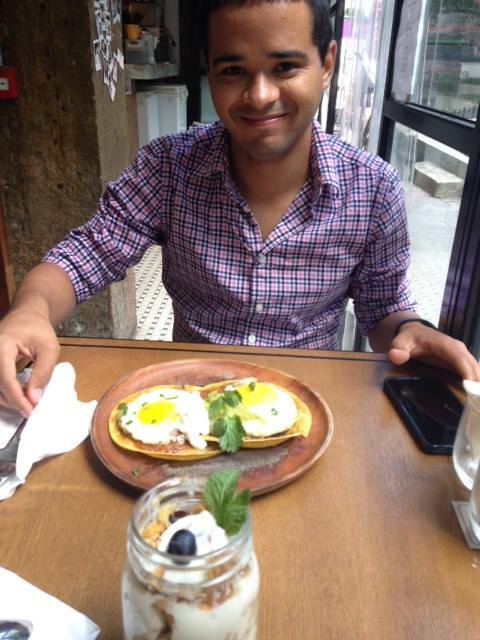 Take a more leisurely second day by getting a well-deserved late start and brunch at a nearby cafe. Menu recommendations include yogurt with fruit and granola, huevos rancheros, fresh-squeezed orange juice, and more iced lattes. Rejoice that brunch has come to Asia and it is glorious. Wander around the antique shops and stands in the Central district, then make your way to Hong Kong Park. 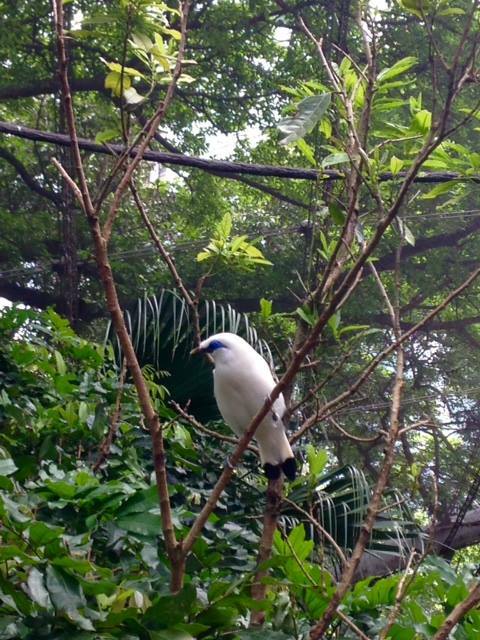 Stumble upon the park’s aviary and try to find all the different birds in the brochure they provide. Do not actually capture the birds, there are signs telling you not to do so. Avoid putting your arm into a huge plop of bird poop and spending 10 minutes trying to wash it off with tissues and hand sanitizer while your companion is unsupportive and makes jokes. Stroll over to the Lock Cha tea house via beautiful koi ponds and waterfalls. Order from an extensive tea menu that includes dim sum, traditionally snacks served with tea. Afterwards, visit the Flagstaff Museum of Tea right next door to delve into China’s long tea history. For lunch, head to the nearest mall where a variety of food options are available including tasty noodles. End the day by taking the Mid-Levels escalator from the Central District. If time permits, stop along the way to visit the shops/restaurants or simply enjoy the ride. 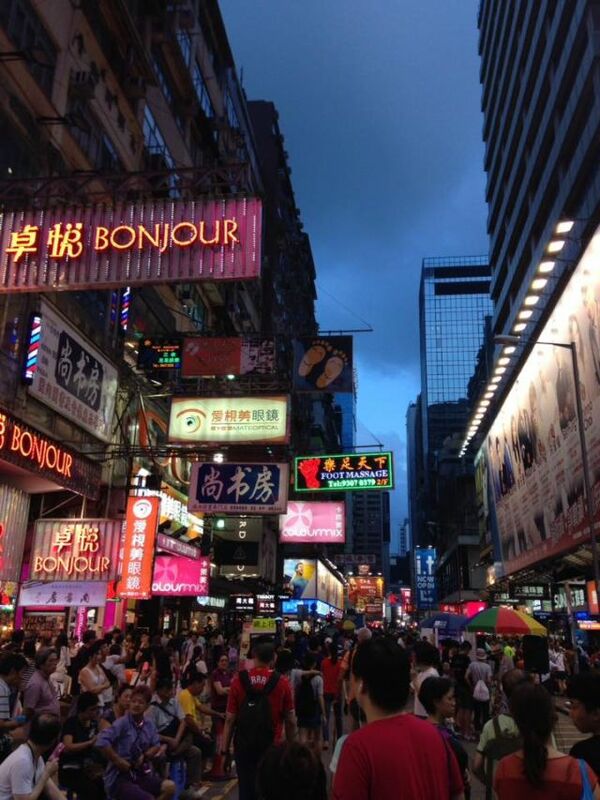 Take a bus back to the hotel to grab your luggage and head back to the train station in Kowloon via taxi. Perhaps the itinerary above will inspire you to take a trip to Hong Kong, help you reminisce about past trips there, or give you a piece of our experience if going there is not an option… yet?